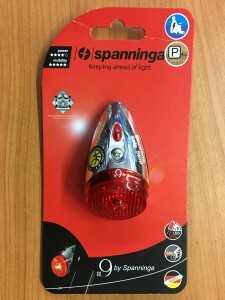 We at Denman Bikes are excited to announce that we now carry dynamo lighting systems! 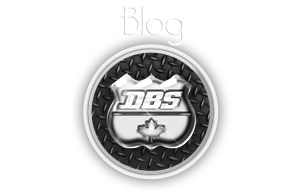 What are dynamo lighting systems? 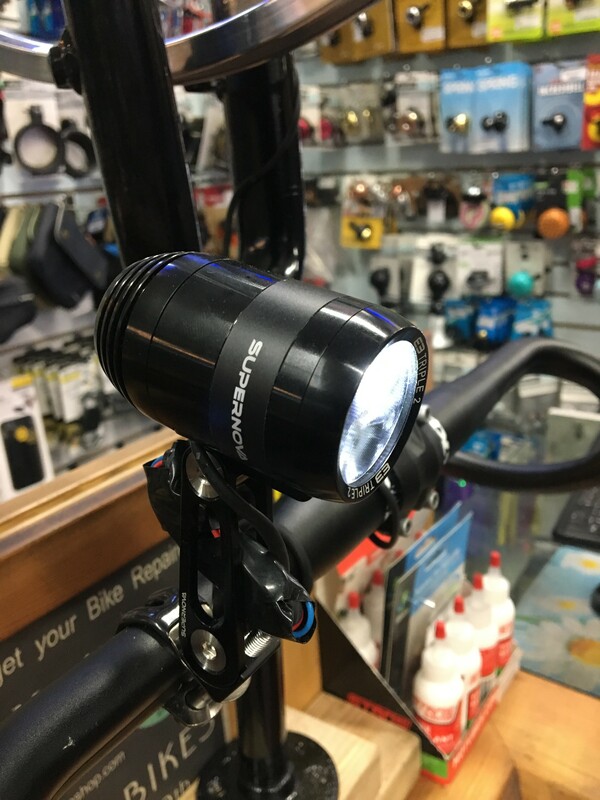 Simply put, they use a small part of the power used to propel your bicycle forwards to power lights – no batteries are needed! In addition, these systems can power USB devices, so you can recharge your phone while you ride. 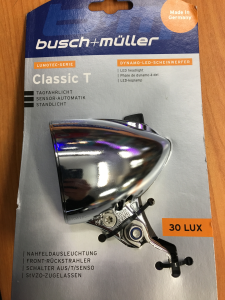 Dynamo lights are widely used in Europe, where regulations such as the tongue-twisting German Straßenverkehrszulassungsordnung (abbreviated StVZO) requires dynamo lights on every bicycle and for these light to have beam patterns closer to those of car headlights. What this means is that their reflectors put light onto the road where you need it, as compared to the reflectors commonly found in North American lights, which spread light onto the road, into the sky, and onto nearby scenery, requiring the light itself to be higher-powered to be equally useful. Dynamo lights don’t just turn on when you ride, as well – a supercapacitor inside the lights powers the lights for some time when you come to a stop, as well. The dynamo hubs we currently have stock in our web store are the Shutter Precision 8-Series and 8X-Series hubs. 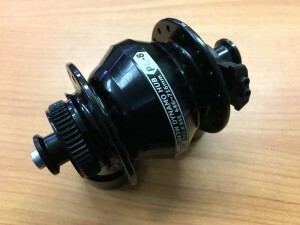 These hubs are compatible with both dynamo head and tail lights, have a high-polish anodized aluminum finish in a variety of different colours, have sealed cartridge bearings which require virtually no maintenance, and are compatible with rim brakes and 6-bolt and centerlock disc brakes. To complement these hubs, we have a number of compatible lights in stock from brands such as Supernova, Busch + Müller, Herrmans, and Spanninga, ranging from the basic to the deluxe. Our highest-output light is the Supernova E3. This clocks in at 205 lumens for the single-LED version, or up to 640 lumens for the triple-LED off-road version. Both are sturdy, fully waterproof, and light, and will mount on your handlebar for ease of use. 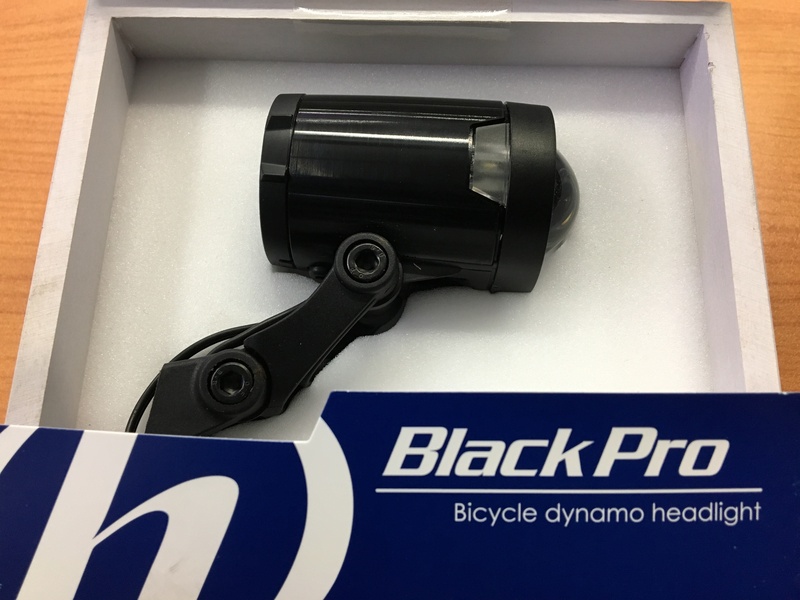 Another high powered light we sell is the Herrmans H-Black Pro. 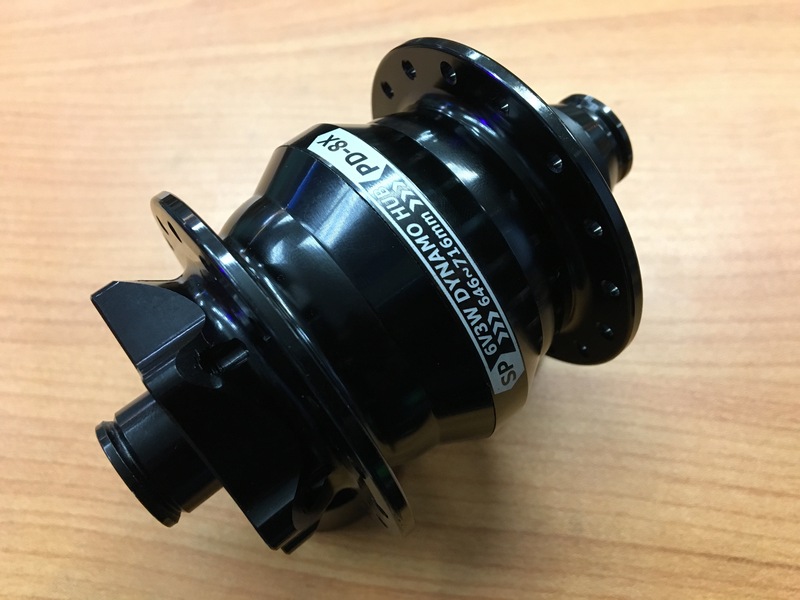 It is comparable to the Supernova single-LED light in power, but features 3 LEDs and a novel hemispherical lens. Finally. 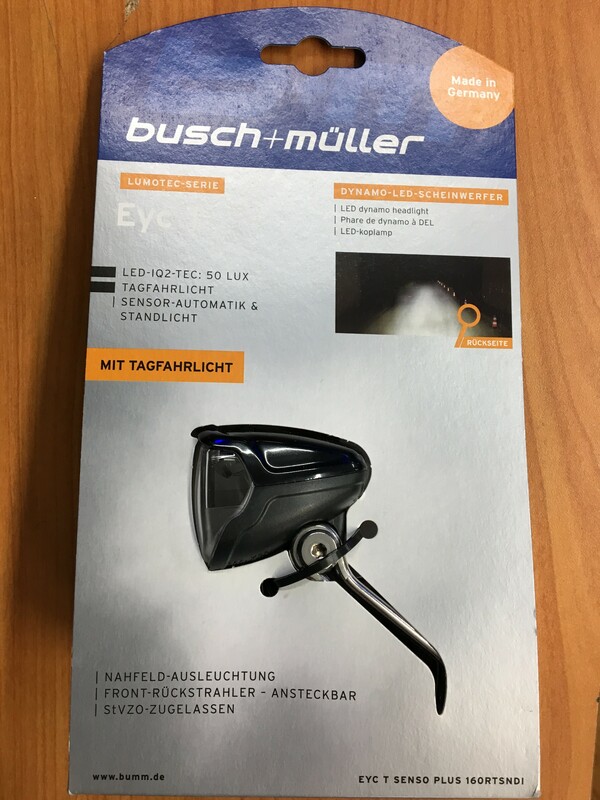 we stock the Busch + Müller Eyc T Senso Plus and Lumotec Classic T Senso Plus. What does all this terminology mean? Well, the “Senso” denotes that these lights have a lower-power daytime mode, which activates automatically depending on ambient light levels; the “Plus” denotes that they have a standlight, and will stay on for a while after you have come to a stop. The Classic T adds vintage styling to this package, complementing any retro build while still using modern power LED technology and a modern reflector. 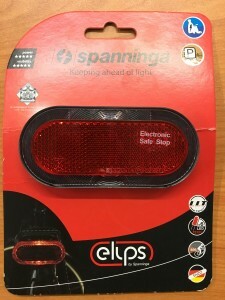 We currently stock two tail-lights, both by Spanninga: the Elips XDS, a large, bright, rack-mounted tail-light win an integrated reflector, and the NR 9 XDS, a tail-light which mounts on your rear fender and which features classic vintage chrome styling (perhaps a worthy complement to the Busch + Müller Classic T Senso Plus). All in all, dynamo lighting systems provide a well-engineered, on-demand, battery-and-hassle free, and more environmentally friendly alternative to cheap battery-powered lighting. Whether you’re interested in them for safety, performance, to use on an upcoming bicycle odyssey, or if you just think they’re cool, come down and check them out today in our store at 2607 Main Street!